I am happy to present to you a free bold style of the UMBA Sans family. UMBA Sans was created as a joyful solution typeface for editorial, titling and branding. The wide shaped curves show a new aesthetic appeal in an unexpected pleasant way. 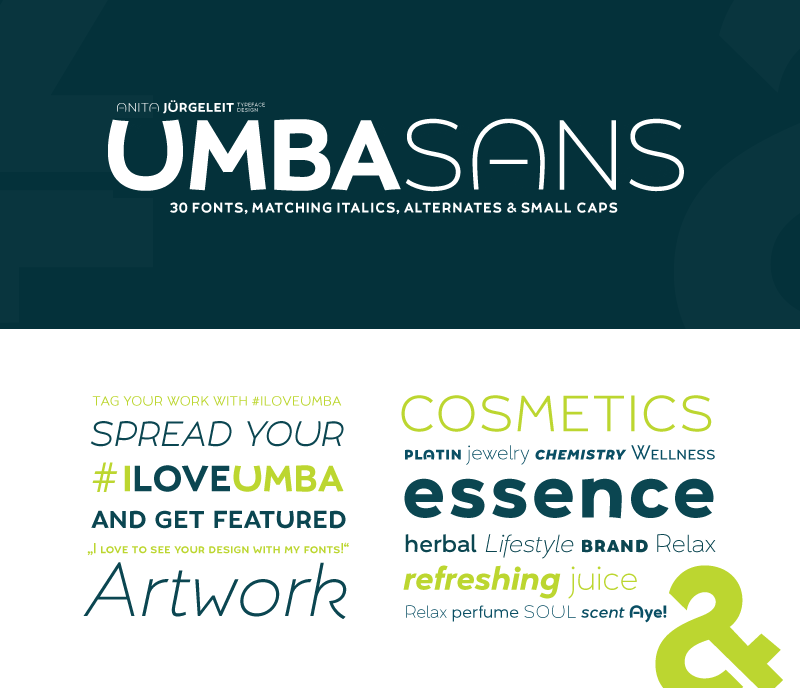 Enjoy Umba and it helps you pushing your design up to the next level. Umba Sans Bold is 100% free for private and commercial use. The only thing you are not allowed to, is to change the software and to sell it. That's it. Would you like to see more of how UmbaSlab improve your design? Let’s get in touch!